Southern Living: Preppy Style: Lallie and a Kate Puck Jewelry Giveway!! 250 Followers! www.katepuck.com - Kate Puck Jewelry! Without a doubt, Kate Puck is one of my favorite jewelry designers, and why not....it goes perfect with all my Lilly Pulitzer! 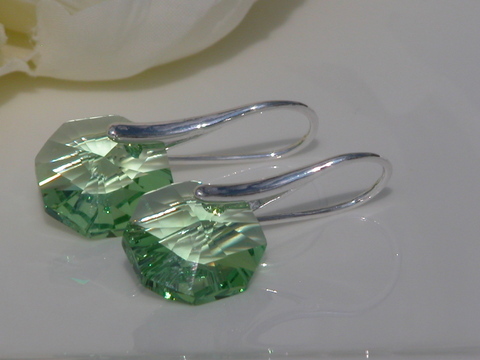 Now, you too can have your choice of one of the two above sets of earrings - either the Green Cove earrings or the Green Strafish earrings. Aren't they gorgeous? 5) Blog about this giveway for 3 extra entries! Leave all your entries in one comment by next Friday, June 4th, at noon and then I will draw the winning name! Good luck and have a fab weekend y'all! I am now a follower! Love the Lauren necklace, but it would be hard to pick just one! I am a follower of your blog. I love reading! My favorite Kate Puck piece is the pearl necklace with the starfish pendant...so pretty!! And I've added your giveaway to my current giveaways page at the top of my blog!!! 3) I am a fan of Kate Puck on FB! 5) I blogged about this giveaway! Congratulations on 250 followers. That is so awesome! :) What a fabulous giveaway. The earring are just precious. I am already a follower. Love your blog. I love the Kiawah Mermaid Necklace. How pretty. I will post the giveaway on my sidebar. 2. 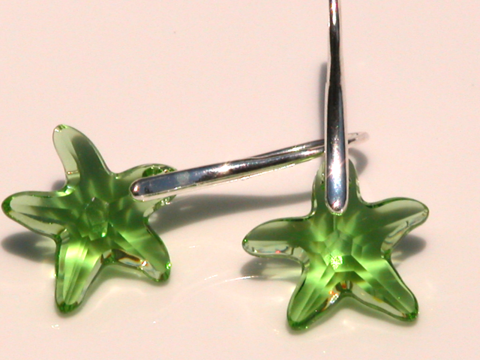 I love the starfish earrings in green, but the ones with the hoop around them are too cute also! -I am a new follower! Really enjoyed reading your blog, and thanks for the amazing giveaway! Hi sweetheart! Congratulations on 250 followers! I love following your blog! I adore Kate Puck's Lauren Pearl necklace! Great giveaway, thank you so much for hosting!! I did a post on Kate Puck a few weeks back. Love her stuff! -Honestly, my fave thing is the green cove earrings. I've been lusting after them for awhile now!!! -And.....I'm going to schedule a post up for this weekend on the giveaway. Yay, hope I win. Love these earrings. Okay, enough of that. Lallie is so adorable. 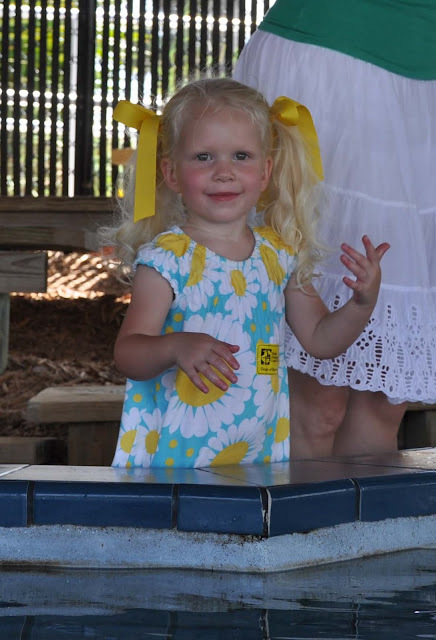 Such a little towhead. I wish my hair was blonde like that!!!! Have a great weekend girly! I love the Jessica Coral Necklace! I am a fan of kate puck on facebook now! I am a new follower and I absolutely love the beachwalker charm with the aqua starfish. I am so excited about my 2 entries!! I love the green cove earrings. I am a new follower. I also like the Jessica Coral necklace. Beautiful! I love the Bermuda blue tea drop earring !! I can't decided between the seabrook necklace and the bermuda teardrop earrings. I adore the Jessica Coral necklace!! Yay! What a nice giveaway! 1) I follow your blog! LOVE IT! And am loving when Lallie posts! 2) Kiawah Starfish necklace is one of my favorites! 3) I am a fan of Kate Puck on facebook. I looove Kate Puck jewelry! I love the Bermuda tear drop earrings! And I'm a fan of Kate on Facebook! hey girl - i'm, of course, a follower! and i blogged about it, so a total of five entries, please! I am a fan/I like Kate Puck Jewelry on Facebook. I love the starfish earrings above, so cute! I love her Kiawah Starfish necklace! I live in Charleston and have not heard about Kate Puck before, this is so exciting! 3. I'm already a fan of Kate Puck. I am a Kate Puck fan on FB too. #3 - my "current" must have item from Kate's website is the Ocean Goddess necklace. p.s. Your daughter is such a cutie!